RMT Calls for Transport for the North to intervene to help keep guards on trains and oppose the Government using tax payers cash to bail out Arriva Rail North. In advance of a meeting of the Transport for the North Board meeting today (6th December) and further strike action in the run up to Christmas RMT General Secretary Mick Cash has written an open letter to all Transport for the North Board members calling on them to issue a clear statement supporting keeping guards on trains. The union has also called on Transport for the North Board members to oppose government plans to use tax payers money to bailout Arriva Rail North for revenues lost as a result of industrial action. “Arriva Rail North has little regard for the views of Transport for the North members and the company are were instead doing the bidding of their paymasters in Whitehall. I would now urge all Transport for the North members to show some independence from Whitehall, and issue a clear unequivocal statement that you expect Arriva Rail North to keep a safety critical guard on all trains and that the government should refuse to bailout Arriva Rail North for revenues they have lost as a result of industrial action. The Transport for the North Board members and the area in the North they represent is below. I am writing to update you in respect of RMT’s dispute with Arriva Rail North in advance of the meeting of the Transport for the North board meeting on 6th December. In recent weeks we have been grateful for the support of many Transport for the North members in trying to find a resolution to the long running dispute between RMT and Arriva Rail North. A dispute that has been caused solely by the company, backed by the government, wanting to remove Guards from Northern trains. Board members have also spoken at public meeting in support of keeping the guard on all Northern trains and issued supportive statements to these dedicated rail workers. Last week Transport for North issued a statement saying it was opposed to removing “the” second person from Northern trains. This was welcomed by RMT as the second person on Northern trains is a safety critical guard. Your statement issued on your behalf was in coordination with the Rail Minister who also issued a statement saying the Government would provide any funding that would prove necessary for a second person. It should also be noted however that in terms of funding we are not asking for any new money, we are simply asking for what passengers already have, a guard on every train. Nonetheless the RMT had hoped that these statements would focus the minds of Arriva Rail North and we entered talks with Arriva Rail North yesterday under the auspices of ACAS in good faith. At the meeting however, it became clear that Arriva Rail North has little regard for the views of Transport for the North members and were instead doing the bidding of their paymasters in Whitehall. It was also clear that the Government’s intervention in the dispute last week was nothing more than a deliberate and cynical attempt to mislead the travelling public. It is also obvious that Arriva Rail North have no incentive to resolve the dispute because the Government will reimburse the company for revenues lost as a result of the industrial action. Parliamentary questions have shown that the Government is considering a request from Arriva Rail North to be reimbursed. The Rail Minister has said the terms of this bailout is “commercially confidential,” although we do believe that the company will have already been issued a “letter of comfort” from the Government. At our talks the company, •Refused to guarantee that there would be a safety critical guard on every train and even said some routes would operate without a guard •Gave no assurance on the funding package to underpin the second member of staff. 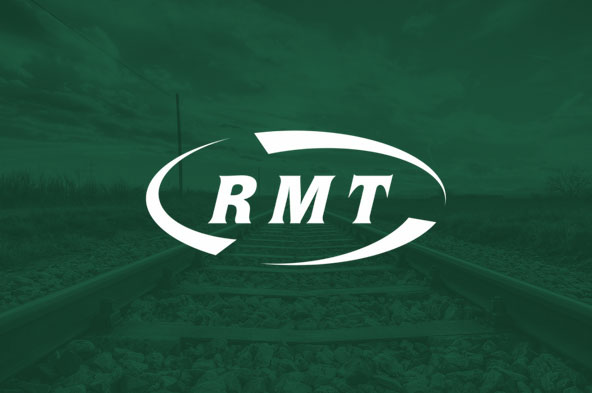 •Deliberately treated the RMTs negotiating team with contempt, including the Managing Director of Arriva Rail North issuing a bulletin to Northern Guards, while discussions were taking place at ACAS, calling on RMT to suspend the industrial action. All RMT is asking for is that Northern passengers keep a safety critical guard on every train and that passengers will continue to benefit from the safety and operational competencies guards currently provide. All we are asking for is for arrangements similar to those that have already been agreed for the introduction of new trains under the auspices of other devolved transport authorities such as Transport for Scotland and Transport for Wales. I attach the briefing that was used for the productive meeting with the delegation from Transport for the North last month but if you need any more information please do not hesitate to contact me.